The professionals at Hudson Douglas Public Adjusters help clients obtain the most accurate and complete settlement following all types of property damage claims. As a public adjuster, we can help policy holders receive all of the benefits for which they are entitled from their insurance policy. For most people who own residential or commercial property, writing a regular check to cover their homeowners insurance or other types of property insurance to insure their investment is done without much thought. Many make these insurance payments for years or even decades without ever having to file a property damage claim. So what are one’s options if a property damage claim does have to be submitted, but the insurance provider offers a settlement figure that looks much less than what is likely needed to make the necessary repairs? The answer can be found in licensed insurance professionals known as public adjusters. Public adjusters’ singular purpose is to represent the policy holder and be their advocate during the entire claims process. Many people don’t realize that there is no out-of-pocket costs to engage the services of the professionals from Hudson Douglas Public Adjusters. They work off a small percentage of the final settlement value so they don’t get paid until the policy holder gets a check from the insurance company. To learn more about how the licensed public adjusters at HDPA can professionally settle insured property claims quickly and for the fair maximum value, please visit www.HudsonDouglasPublicAdjusters.com, email claims@HudsonDouglas.com or call (800) 898-4290. With more than 50 years of experience in the construction and disaster restoration industries, the founders of Hudson Douglas Public Adjusters provide policy holders with professional representation to efficiently manage and settle insured claims. 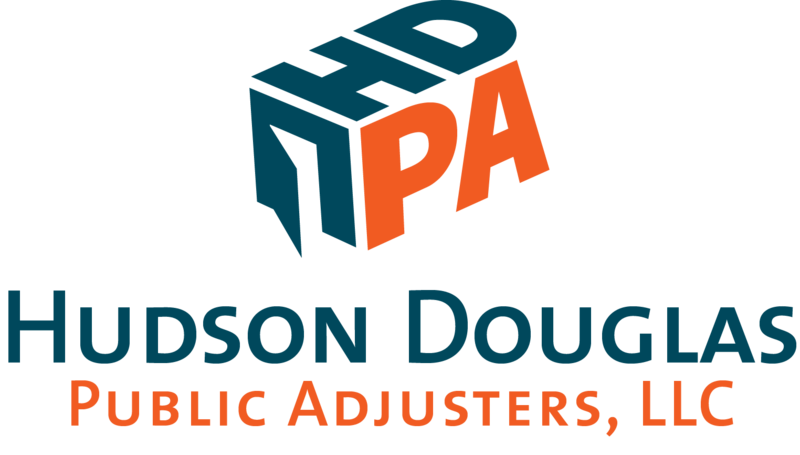 Hudson Douglas’ public adjusters are licensed to offer these services to residential and commercial customers in Arizona, Utah, Nevada, Colorado, New Mexico, Ohio, Pennsylvania and New Jersey.